Kick off your visit on the 9th (Sun): meet the residents at Seattle Aquarium, shop like a local with Pike Place Market, then admire the masterpieces at Chihuly Garden and Glass, and finally take in panoramic vistas at Space Needle. 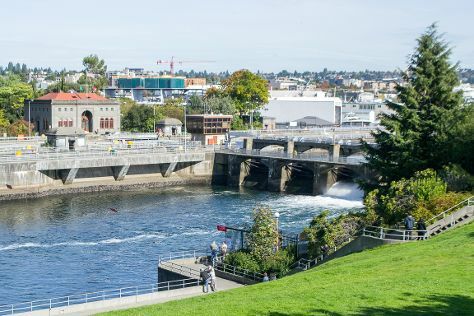 Keep things going the next day: see the interesting displays at The Museum of Flight, take in the waterfront at Hiram M. Chittenden Locks, and then work some fitness into your day at Discovery Park. For traveler tips, ratings, more things to do, and tourist information, use the Seattle trip planner . Mumbai, India to Seattle is an approximately 23.5-hour flight. You can also do a combination of flight and shuttle; or do a combination of train and flight. The time zone difference moving from India Standard Time to Pacific Standard Time is minus 13 hours. Expect a bit cooler weather when traveling from Mumbai in June: highs in Seattle hover around 27°C, while lows dip to 16°C. Wrap up your sightseeing on the 10th (Mon) to allow time to travel to San Francisco. Kick off your visit on the 11th (Tue): examine the collection at de Young Museum, snap pictures at Golden Gate Bridge, then wander the streets of Fisherman's Wharf, and finally head off the coast to Alcatraz Island. Get ready for a full day of sightseeing on the next day: get curious at Exploratorium and then explore and take pictures at Golden Gate Park. For photos, reviews, where to stay, and tourist information, refer to the San Francisco online trip planner . You can fly from Seattle to San Francisco in 4.5 hours. Alternatively, you can do a combination of flight and train; or drive. In June in San Francisco, expect temperatures between 25°C during the day and 15°C at night. Wrap up your sightseeing on the 12th (Wed) to allow time to travel to Las Vegas. Kick off your visit on the 13th (Thu): take in breathtaking views at Red Rock Canyon National Conservation Area, try to win big at Bellagio Hotel and Casino, and then ponder the design of Bellagio Fountains. Keep things going the next day: examine the collection at The Mob Museum, then admire the natural beauty at Bellagio Conservatory & Botanical Gardens, and then get a taste of the local shopping with The Strip. To see other places to visit, reviews, traveler tips, and other tourist information, refer to the Las Vegas day trip site . Traveling by flight from San Francisco to Las Vegas takes 4 hours. Alternatively, you can drive. Plan for warmer temperatures traveling from San Francisco in June, with highs in Las Vegas at 46°C and lows at 29°C. Wrap up your sightseeing on the 14th (Fri) early enough to travel to Los Angeles. 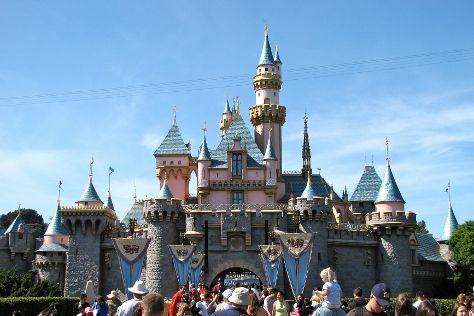 Kick off your visit on the 15th (Sat): make an unforgettable trip to Disneyland Park. On the 16th (Sun), you'll have a packed day of sightseeing: find something for the whole family at Universal Studios Hollywood. For reviews, ratings, photos, and other tourist information, you can read our Los Angeles trip planner . You can fly from Las Vegas to Los Angeles in 4 hours. Other options are to drive; or take a bus. Traveling from Las Vegas in June, expect nights in Los Angeles to be a bit cooler, around 19°C, while days are cooler, around 30°C. Finish your sightseeing early on the 16th (Sun) to allow enough time to drive to San Diego. Start off your visit on the 17th (Mon): see the interesting displays at Maritime Museum of San Diego and then admire nature's wide array of creatures at San Diego Zoo. On the next day, pause for some photo ops at Cabrillo National Monument, then examine the collection at San Diego Model Railroad Museum, and then take in nature's colorful creations at Balboa Park. To find traveler tips, ratings, maps, and tourist information, read San Diego trip itinerary website . Drive from Los Angeles to San Diego in 2.5 hours. Alternatively, you can take a bus; or fly. When traveling from Los Angeles in June, plan for a bit cooler days in San Diego, with highs around 26°C, while nights are about the same with lows around 20°C. Finish your sightseeing early on the 18th (Tue) so you can travel to New York City. New York City is known for museums, nightlife, shopping, historic sites, and parks. Your plan includes some of its best attractions: go for a walk through Central Park, enjoy breathtaking views from Top of the Rock, appreciate the history behind 9/11 Memorial, and get to know the fascinating history of Central Park's Literary Walk. For photos, maps, where to stay, and other tourist information, refer to the New York City road trip planning site . You can do a combination of flight and bus from San Diego to New York City in 8.5 hours. Other options are to fly; or drive. The time zone changes from Pacific Standard Time to Eastern Standard Time, which is usually a 3 hour difference. Traveling from San Diego in June, expect nights in New York City to be about the same, around 21°C, while days are a bit warmer, around 31°C. Finish your sightseeing early on the 21st (Fri) to allow enough time to travel back home.